Passportinfo.com is an informational website developed by passport, visa, and travel experts. Leveraging our many years of experience processing US passports and travel visas for US citizens, our goal is to be a resource to make getting your passport easy, quick, and painless. Passport services have never been more complicated so we are here to help! Here you will find the most comprehensive and up to date information on passport requirements, document checklists, passport applications, and supplemental forms. 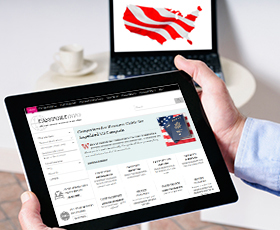 It will show you the fastest way to get your passport service completed, and will answer all of the most frequently asked questions all US passport services. Passportinfo.com is a great tool to find passport services for travelers in a hurry. But we also specialize in helping travelers that just want to get a passport for future travel. Our info is always up-to-date so you can use us as a great starting point to understand what you need to get your passport, visa, and anything else related to your travel needs. We are always interested in expanding our info, so please feel free to comment on any page or article with questions and suggestions. Passportinfo.com is not affiliated with any US Passport Agencies, the US State Department, or the US government. Passportinfo.com is a privately held site for informational purposes only.